Mother and daughter. Alice and her mother out for some bird watching ;). 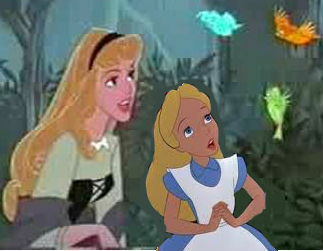 Wallpaper and background images in the disney crossover club tagged: disney crossover alice aurora.